Our search for this boy, photographed at a village wedding almost five years ago, led us to a monastery an hour’s walk to the south. Pho Htay is his name. He’s eleven years old, a nephew of the groom, and is currently living as a novice monk. This man was also at the wedding – neither a local nor an invited guest, he was one of a group of men from a more distant village employed to cook rice and pork for the wedding feast. 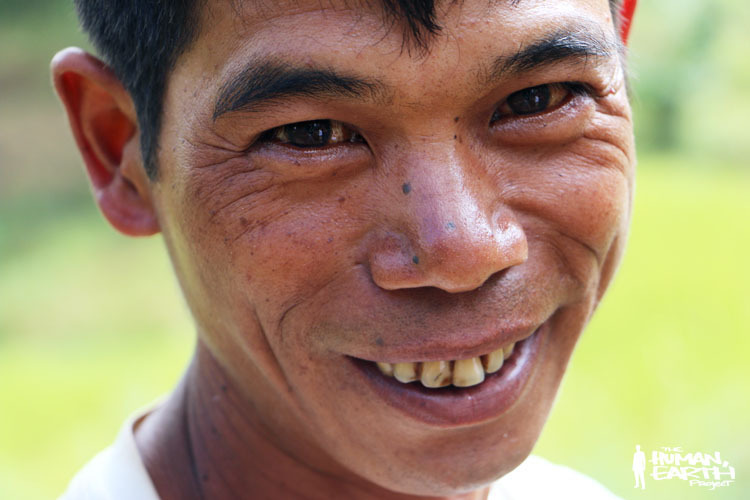 We pushed deeper into the hills to find him at last threshing rice amongst the fields. 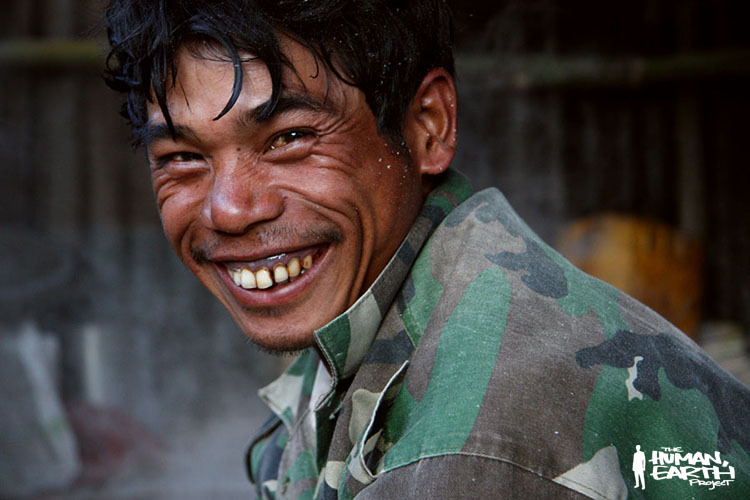 His name is Kyaw Zaw, and he’s still a bachelor at forty. Sitting beneath the shade of a tree overlooking the paddies, he offered us a beautiful insight into a life spent working the land, with a fascinating interview that meandered between economics and philosophy. An unexpected side-effect of The Human, Earth Project has been for me a new appreciation of humanity. 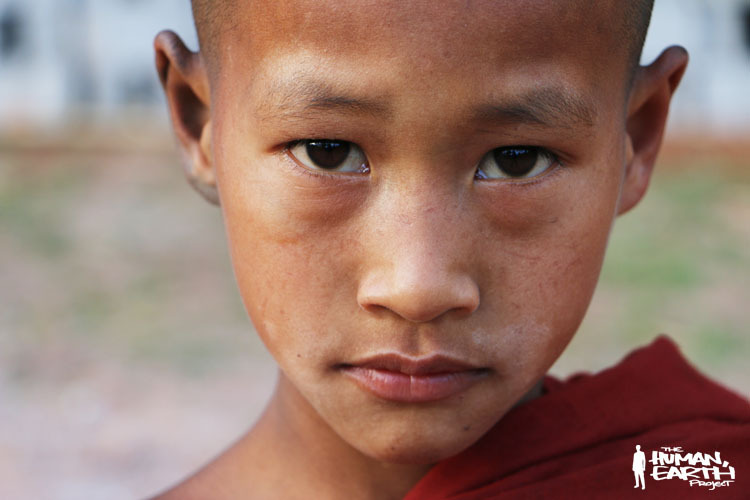 A rice farmer is no longer simply a rice farmer, and a novice monk is more than merely another bald boy. From the business owner to the housewife, from the taxi driver to the tourist, each face conceals a story. It’s been a special privilege for me to be given these glimpses into the lives of others, with all their character and complexity. And now, I believe I owe you an explanation. You may have noticed that my most recent posts have been very factual, with little flavour. The truth is, Moreno and I have been spending the bulk our time and energy elsewhere, and this seems a good time to let you know what’s really been happening over here. Because we were extremely busy searching for subjects during our final weeks in Myanmar and had little time to keep you all informed of our progress, these posts are being backdated by three weeks. In reality, The Human, Earth Project has almost reached its halfway mark – both in terms of time and subjects found – and the second half will be very different from the first. There are several reasons for this. Firstly, my photography habits changed significantly on my first journey through Asia. 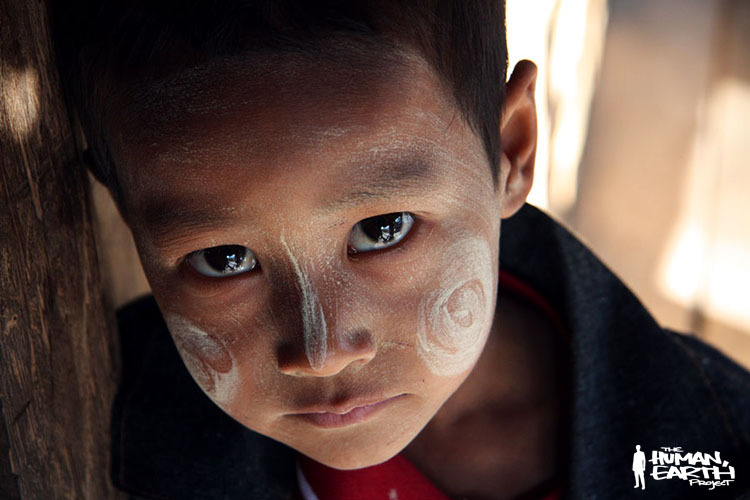 During my first six months of travelling, my interest in portrait photography became a true passion, reaching a climax amongst the villages of Myanmar. When my travels continued after a year in Thailand, I became much more selective with my portraiture. I took out my camera much less often – eventually sending it home altogether – in the interests of having a fuller experience on the road. Because my initial portraits were taken in so many different locations, these first three months of The Human, Earth Project have been extremely intense in terms of travelling and searching for subjects. Moreno and I have had little time for other aspects of the project which we consider equally important, if not more so – meeting with local organisations working against human trafficking, spreading our message through the media, and the post-production of our documentary films. After several days of hard travelling from Myanmar, we’re now in northern Thailand. We have no subjects to find here. Instead, we’ve begun meeting with local NGOs working against human trafficking, to learn as much as we possibly can. The second phase of the journey has begun. Moreno and I are now focused firmly ahead, and there’s a shadow on the horizon: next month we’ll be in the mountains of northern Vietnam with M’s family and friends, to begin the search for M herself.